We are still loving this line of tape in hair extensions that will cost you quite a bit less than the full one tiny bundle of hair at a time and they look fantastic! 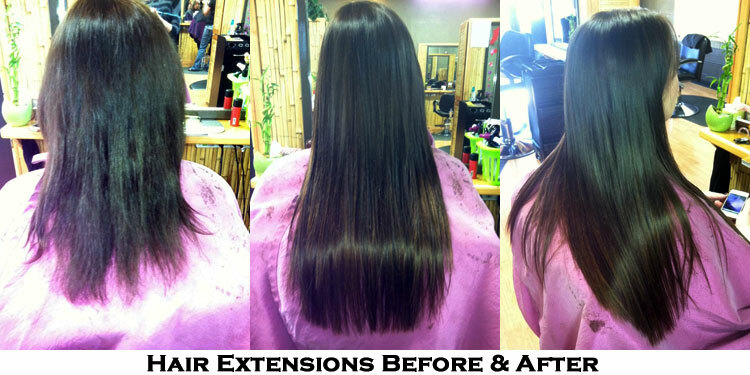 Take a look at the photos of the last two ladies hair. They both turned out gorgeous! 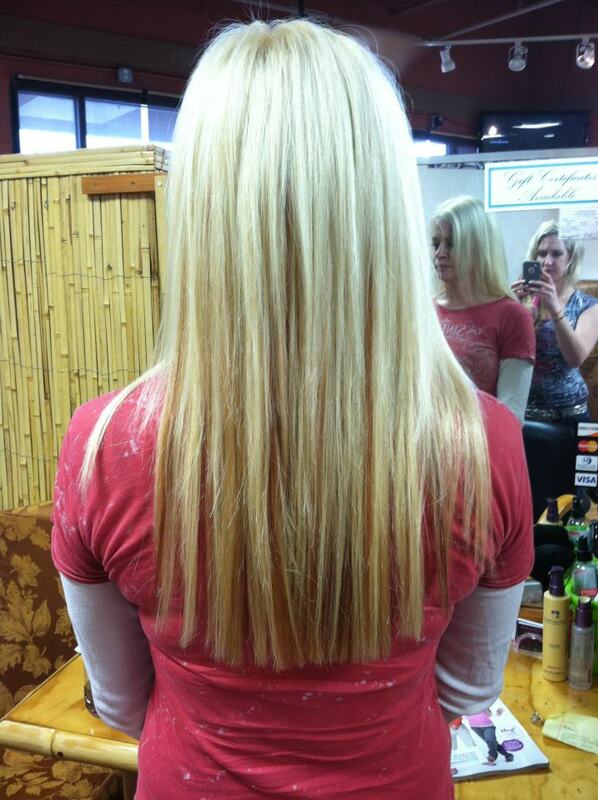 Call the salon to book a consultation if you are interested in having longer fuller locks!